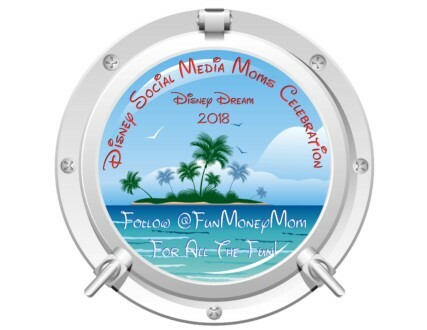 Is your family planning a Disney cruise line vacation? 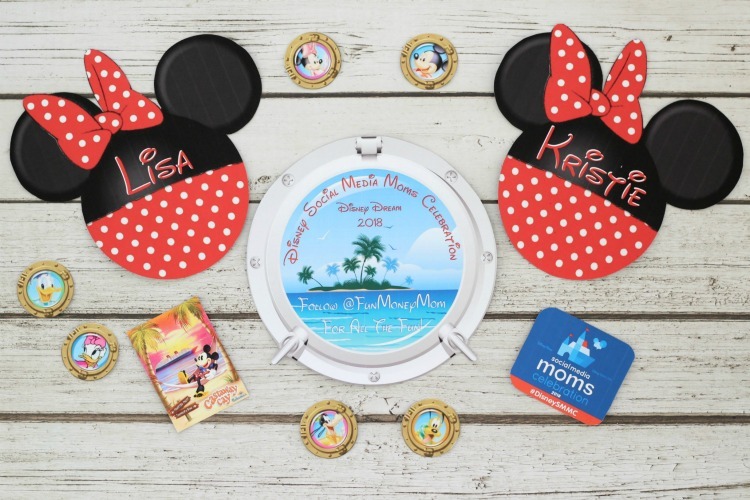 You may not know it but there’s a lot that goes into getting ready for a Disney cruise! There are pirate costumes to put together, fish extenders to work on and, of course, you’ll need Disney cruise door magnets. 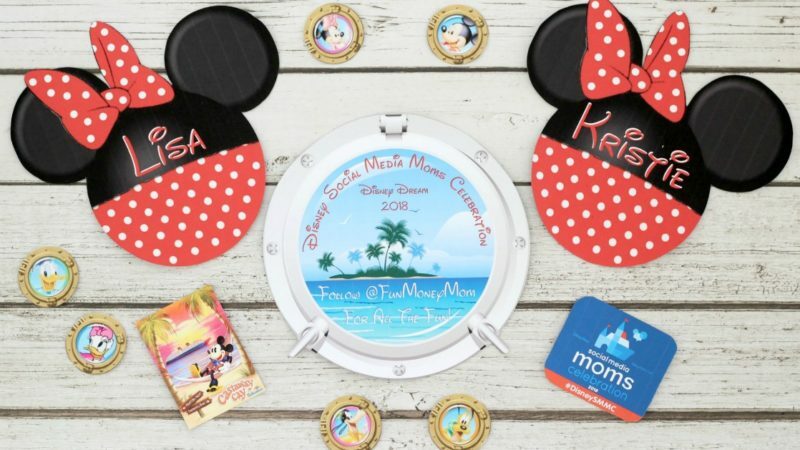 While some may customize and order theirs online, it’s a lot more fun to make them yourself…and it’s a lot easier than you’d think! 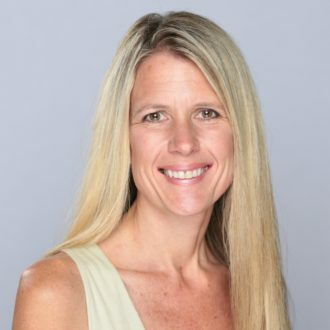 Disclaimer: Traveling Mom uses affiliate links that may pay us if you purchase through them. Thanks for your support. 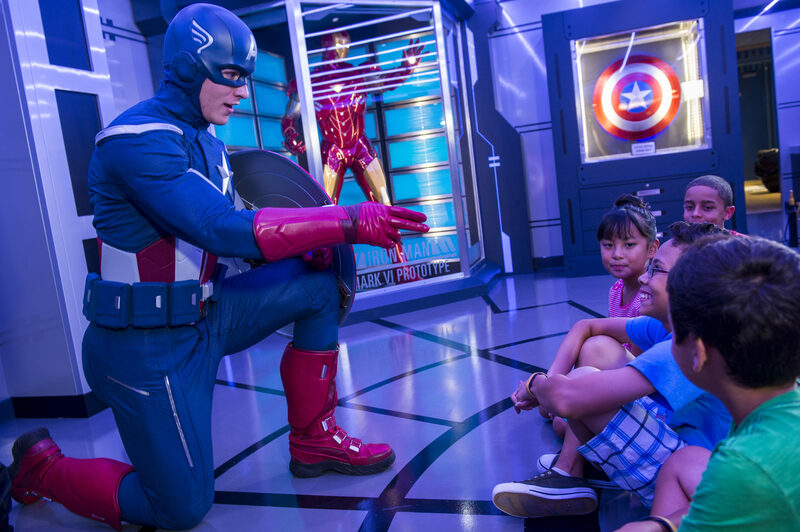 If you’ve never taken a Disney Cruise, you may not know about the fun traditions that take place on board the ship. One of these is Pirate Night when you and your family have fun dressing up and talking like pirates all night. Another is fish extenders, where small gifts and souvenirs are exchanged with other families on the ship. My favorite is the tradition of Disney magnets for the cabin doors! 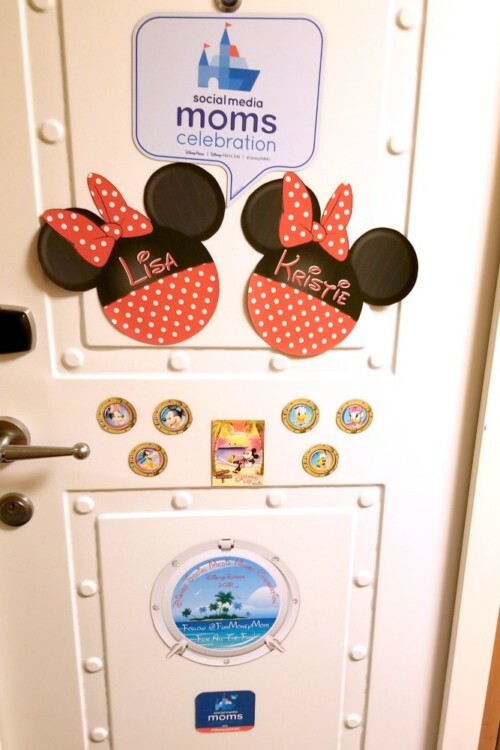 When I was planning for my first Disney Cruise, I had no idea that stateroom door magnets were a “thing.” I found out just before I left and a friend was nice enough to make some for us. 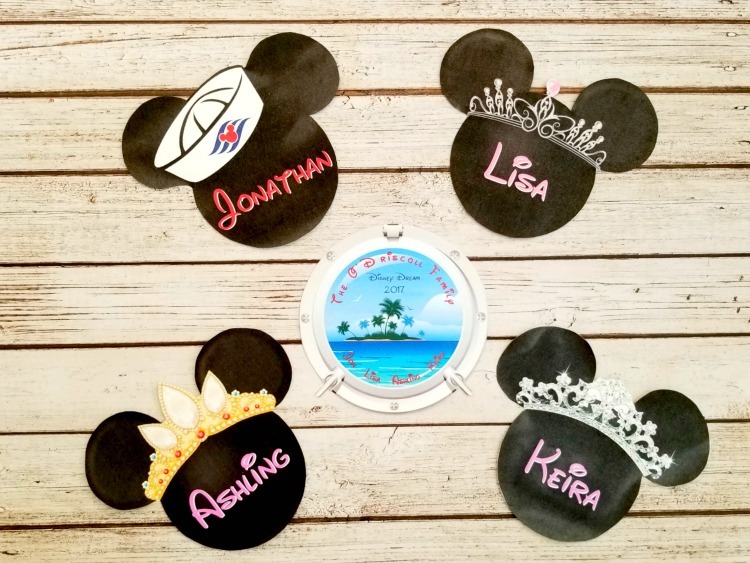 When my family took a Disney Dream vacation to the Caribbean, I was more prepared and made door magnets for all of my family members. I created templates, printed and laminated them and added small magnets to the back. While these looked great on our stateroom door, I wanted to take my cabin door decorations up a notch for my third cruise. Third time’s the charm, right? I bought printable magnet sheets and they worked like magic. They were thinner than expected and I didn’t even have to change the settings on my printer. The first thing I needed to do was create the templates. I love using PicMonkey for projects like this but you can use Canva as well. While PicMonkey does charge a monthly fee, you can sign up for the free trial to make your cruise door magnets. I found a great selection of images to choose from at Wonders Of Disney and these Minnie Mouse images were perfect for my templates. 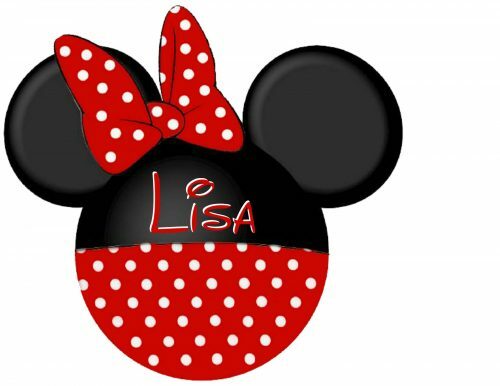 Feel free to use my Minnie Mouse template or go to the site to find lots more, including classic Mickey and Minnie and Star Wars characters. To create a template from scratch, go to Picmonkey.com and click “design” at the top of the page. In the column to the left, click on basic edits, the three lines with dots on them. Next click crop, check scale photo and use 3300 x 2550 for a horizontal layout or 2550 x 3300 for a vertical layout. Add your image by clicking on Overlay (the butterfly). Then click on “add your own” at the top of the column and you’ll get a drop-down menu. Select “my computer” and grab the image that you want to use. Once your template is ready, you can add your name and any other info you’d like. Just click on the Tt on the left, then “add text”. If you want to add a Disney font that you’ve already uploaded on your own (you can find free ones online), click on “yours” to use it. Once you’ve added the text, you may want to try a test print on regular paper first. I did this so that if I made a mistake, I wouldn’t waste an entire sheet of the magnetic paper. 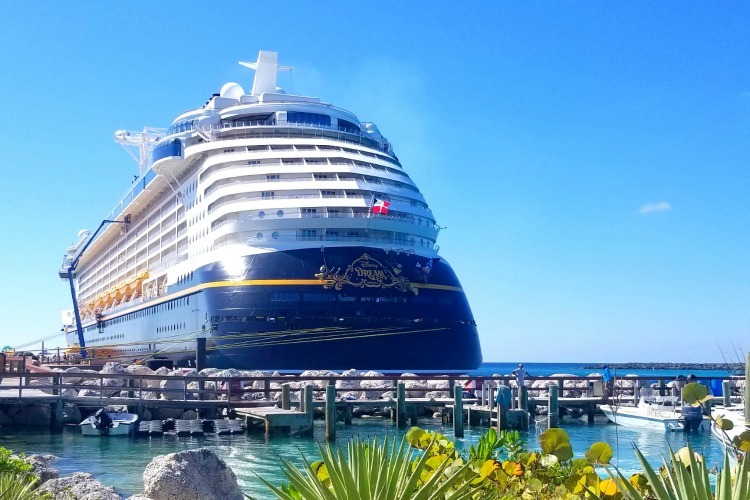 If it looks good on regular paper, go ahead and print your Disney cruise magnet. 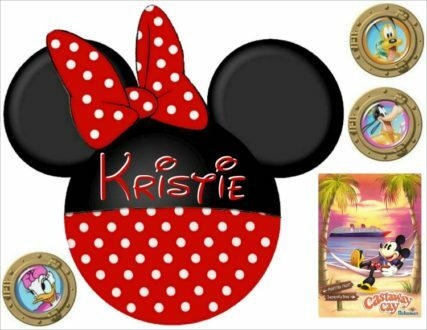 I made a second Minnie magnet for my friend Kristie, who was joining me on the cruise. Since I had one magnetic sheet left, I downloaded a fun image from DepositPhoto, using PicMonkey to personalize it. 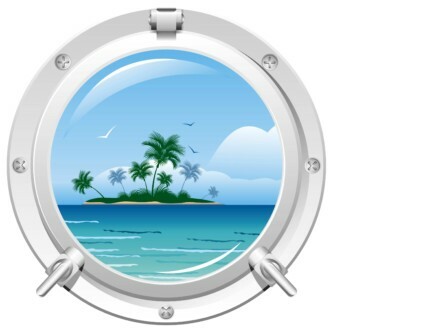 Feel free to use this porthole template. Here’s what it looked like after a little editing. Upload the template to PicMonkey to add your family’s name, the dates of the cruise, the name of the cruise ship or anything else you’d like. The possibilities are endless! The bigger magnets didn’t completely fill the page and since magnet sheets aren’t cheap, I didn’t want to waste them. I found more images online and added them anywhere I had extra room. Finally, I printed the magnet sheets and cut them out. These looked so cute on our stateroom door! Now I can’t wait to take another cruise ship vacation so I can make even more cruise door decorations! 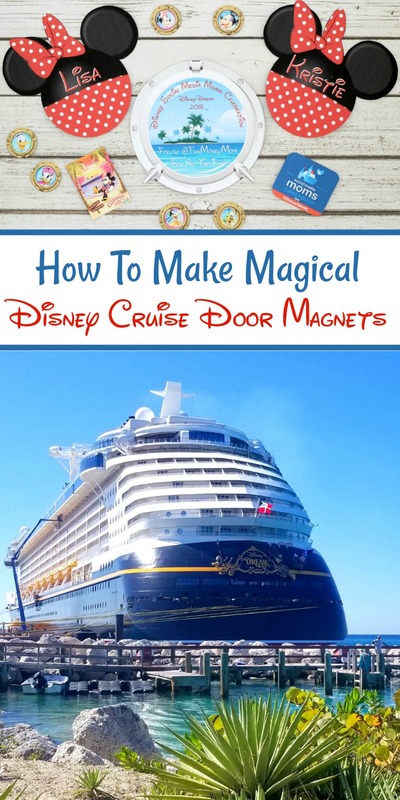 What kind of Disney cruise door magnets would you make for your cruise vacation? Hi- I need help wtih the minnie… I’m trying to upload it into Canva and it’s saying it can’t upload a PDF, but that’s how it saved nad I can’t change. Advice? I’m sorry I didn’t see this sooner! You may have already figured it out but you’ll have to find a program that converts your Minnie to JPG. I don’t know if this works for you but I can also use my printer to scan something to a memory card and select whether I want it saved as a PDF or JPEG. If you can do that with your printer, that would probably be easiest. Good luck! What type of printer did you use with the Magnet paper? Also, did you have to laminate these or are they good right after printing? I just used a regular printer (I have the HP Envy) and set it for thick paper. Once I printed them, I cut them out and they were good to go…no laminating necessary. Have an amazing cruise!!! Hi!! 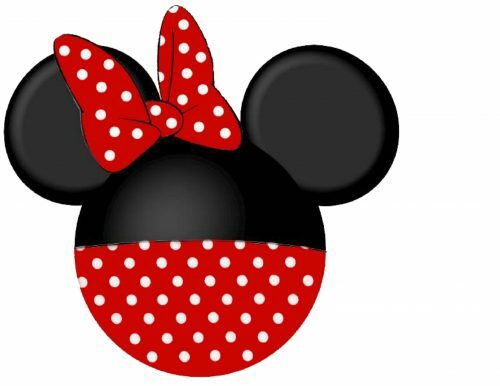 What size did you make the full size Mickey/Minnie heads? They were just big enough to fit on a piece of 8 1/2 x 11 paper. Unfortunately we are moving and they are packed away or I would measure them (usually we keep them on the fridge). This really works for people? 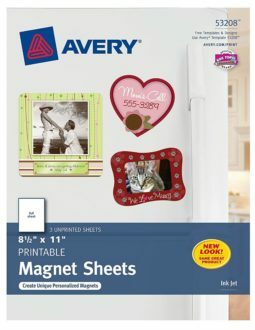 I was so excited when I discovered Avery Magnet Sheets before our first disney cruise in February, but when we boarded the boat and started to put them on our door they all immediately fell to the ground. Tried putting them on other peoples doors and no luck either. We bought some tiny magnets from the gift shop and those stuck nice and good. I assumed magnet paper just wasn’t very good and tossed them out. What did I do wrong? Could I have demagnetized them in my luggage by stacking them on top of each other? Xray machine? I’m so sorry you had that problem. Ours stayed on the door, except for one small one that my daughter had bent in the middle. I’m not sure if stacking them could have demagnetized them but I did separate each of ours with paper so you never know. We also drove so ours didn’t go through an x-ray machine. I’m sorry I can’t be more help but I’m not exactly sure why they didn’t work.